Lion’s mane (scientifically Hericium erinaceus) is an edible mushroom that has been used in traditional Chinese medicine for a long time. In recent years, this white, globular-shaped and rotund mushroom has been investigated for its beneficial effects on humans, especially for its neuron growth promoting effects in the brain. Could it be that lion’s mane has an actual effect on neuron growth, or is it just another disappointing “miracle drug” and temporary hype? Biochemical analysis of lion’s mane mushroom found a wide variety of bioactive compounds, but two compounds in particular caught the attention of researchers: hericenones and erinacines. Both compounds have been shown to induce Nerve Growth Factors (NGFs) biosynthesis in nerve cells. NGFs activate cell differentiation and promote growth of neurons, as well as re-myelination of neurons. Myelin is an essential component of neurons and crucial for their function (1). Investigations in cell cultures showed increased expression of genes that are associated with NGF synthesis upon administration of several erinacines from lion’s mane mushrooms. It was found that these compounds potentiate NGF-induced outgrowth from neurons. This added to the perception that lion’s mane mushroom affects survival and differentiation in nerve cells and displays anti-dementia activity. Therefore, intake of lion’s mane mushroom could potentially reduce the risk of developing neurodegenerative diseases (2). In a study with rats, erinacine administration resulted in an upregulation of NGF in two brain areas, the locus caeruleus and the hippocampus. These brain areas are usually affected in patients with dementia and Alzheimer’s disease. In accordance with these results, erinacine administration in mice that exhibit symptoms equal to Alzheimer’s and Parkinson’s disease ameliorated the symptoms of both diseases (2,3,4). 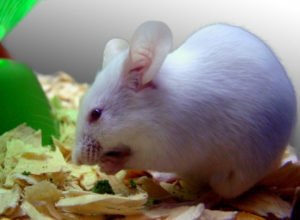 Mice with impaired learning and memory that were fed lion’s mane mushrooms performed better in a memory test compared to mice that were not given the mushroom. The mice also regained a sense of curiosity and spend more time exploring novel objects. These results indicate that lion’s mane mushroom administration improves cognitive impairments and could be utilised in the treatment of cognitive dysfunctions such as Alzheimer’s disease (5). These results are promising, but, in fact, results obtained in the mouse model do not necessarily translate to humans. Fortunately, the effects of lion’s mane mushroom have also been studied in humans. In a 16 weeks investigation with 30 Japanese men and women between the age of 50 to 80, who exhibited mild cognitive impairment, lion’s mane administration substantially improved their cognitive function. The men and women were tested at weeks 8, 12 and 16 and showed significantly higher scores in cognitive function tests than the control group. Crucially, the cognitive function increased with the duration of lion’s mane mushroom intake. The differences to the control group were greatest at week 16. During the investigation, the subjects were given 250 mg of lion’s mane mushroom daily. However, the beneficial effects decreased after the administration of lion’s mane mushroom was discontinued. The researchers thus concluded that a continuous intake is necessary to maintain the beneficial effects on cognitive functions. The researchers speculated that the promotion of NGF synthesis by compounds in lion’s mane could contribute to the prevention or alleviation of Alzheimer’s disease (6). An important point that should not be disregarded is the palatability of lion’s mane mushroom. Ingestion of the mushroom itself does not present a health risk even after long-term consumption. However, some people have reported mild troubles with digestion but not to the point where intake has to be discontinued (6). Overall, the research results are promising, and lion’s mane could contribute to the prevention or at least mitigation of cognitive impairment diseases. With increasing age, everybody will eventually suffer from cognitive impairment in some sort. Maintaining cognitive faculties would enhance the personal quality of life as well as the community’s quality of life. 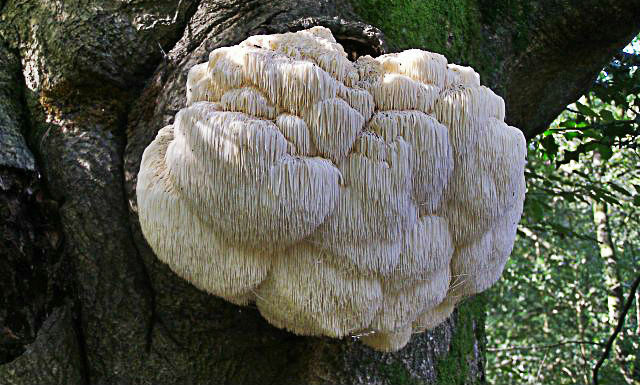 Another very interesting area for research would be the impact of lion’s mane mushroom on healthy individuals. Would the mushroom-derived promotion of NGF synthesis actually improve cognitive functions? It is hard to speculate on the impact and further investigations are necessary to draw conclusions. If you enjoyed this text and would like to read a version with more scientific details, click here. 1. Lai PL, Naidu M, Sabaratnam V, Wong KH, David RP, Kuppusamy UR, Abdullah N, Malek SN. (2013) Neurotrophic properties of the Lion’s mane medicinal mushroom, Hericium erinaceus (Higher Basidiomycetes) from Malaysia. Int J Med Mushrooms. 15(6):539-54. 2. Zhang, C.-C., Cao, C.-Y., Kubo, M., Harada, K., Yan, X.-T., Fukuyama, Y., & Gao, J.-M. (2017). Chemical Constituents from Hericium erinaceus Promote Neuronal Survival and Potentiate Neurite Outgrowth via the TrkA/Erk1/2 Pathway. International Journal of Molecular Sciences, 18(8), 1659. 3. Tsai-Teng, T., Chin-Chu, C., Li-Ya, L., Wan-Ping, C., Chung-Kuang, L., Chien-Chang, S., Chi-Ying, H.F., Chien-Chih, C., Shiao, Y.J. (2016) Erinacine A-enriched Hericium erinaceus mycelium ameliorates Alzheimer’s disease-related pathologies in APPswe/PS1dE9 transgenic mice. J. Biomed. Sci. 23(1):49. 4. Kuo, H.C., Lu, C.C., Shen, C.H., Tung, S.Y., Hsieh, M.C., Lee, K.C., Lee, L.Y., Chen, C.C., Teng, C.C., Huang, W.S., et al. (2016) Hericium erinaceus mycelium and its isolated erinacine A protection from MPTP-induced neurotoxicity through the ER stress, triggering an apoptosis cascade. J. Transl. Med. 14:78. 5. Mori, K., Obara, Y., Moriya, T., Inatomi, S., Nakahata, N. (2011) Effects of Hericium erinaceus on amyloid β(25-35) peptide-induced learning and memory deficits in mice. Biomed. Res. 32(1):67-72. 6. Mori K, Inatomi S, Ouchi K, Azumi Y, Tuchida T. (2009) Improving effects of the mushroom Yamabushitake (Hericium erinaceus) on mild cognitive impairment: a double-blind placebo-controlled clinical trial. Phytother Res. 23(3):367-72.